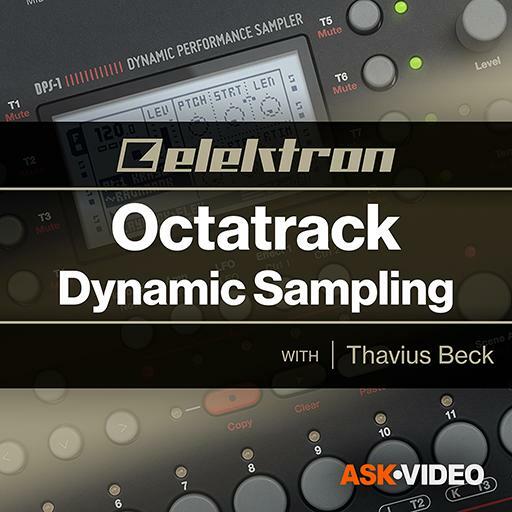 Elektron 103 - Octatrack Dynamic Sampling. True or False : The project is the top level of Ocatrack's file hierarchy. True or False : The Delay can be used as a beat repeat effect. True or False : Parts are stored with Patterns. True or False : The Sequencer has a total of 16 steps. True or False : The maximum sample time is 16 seconds. True or False: Both effect slots can use delay and reverb. True or False : Flex Machines are best for loading full songs. True or False : RATE can change either the pitch or the timestretch rate. Is it possible to quantize live recording? True or False : Record Trigs deactivate sampling on specific steps. True or False : Arrangement rows can have different tempos. True or False : Scenes are related to the crossfader. True or False : Flex Machines read samples from RAM. True or False : It is not possible to zoom in on a waveform. True or False : The Octatrack can only send MIDI data on channel 1. True or False : Slicing is a non-destructive process. How many effects are available per track? True or False : The LFO designer only works for Flex Machines. True or False : Track 8 can be used as a Master track. True or False : Octatrack has a MIDI learn function.